We’re looking forward to getting crafty with the Cheerful Project this Saturday at Simpson Cross community Centre. 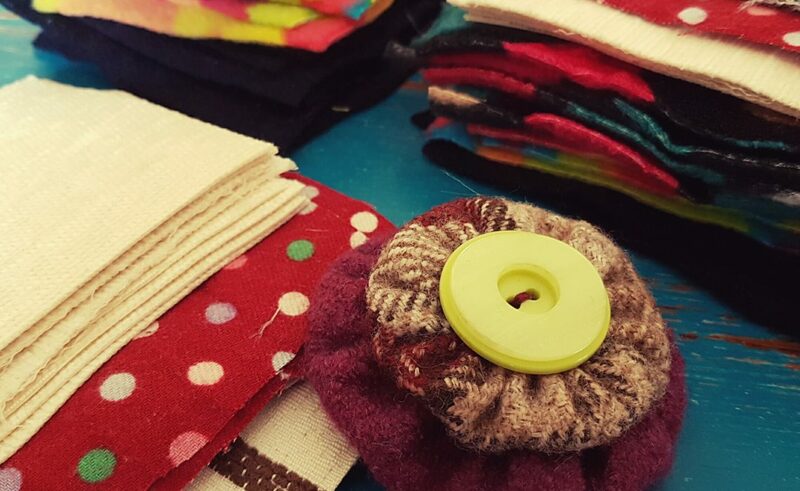 Come along to our drop-in session where you can learn how to make funky tshirt scarves, Suffolk Puffs and rag wreaths from repurposed materials. Make for yourself or as a special gift in time for Christmas. No experience required, all ages welcome. This is a chance to take time out and lose yourself for an hour or two…essential for medicine for the soul.